KUALA LUMPUR: The Kuala Lumpur-Singapore high speed rail (HSR) project has received more than 35,000 responses from its compulsory three-month public inspection exercise. Key areas of interest listed by visitors were the potential benefits brought about by the project in terms of ease of travel and economic development, land acquisition process, station locations and alignment, and environmental mitigation measures to be employed by the project. "About 95% of public feedback received from visitors and survey respondents were supportive of the KL-SG HSR project, with 98% of response received from Kuala Lumpur and Johor," MyHSR Corp Sdn Bhd said in a statement today. Most of total respondents were represented by the 21-40 age group, MyHSR Corp added. About 95% of public feedback received from visitors and survey respondents were supportive of the KL-SG HSR project. The exercise that ended on Jan 31 provided the public with an opportunity to view information about the KL-SG HSR project such as the planned alignment, locations of the seven Malaysian HSR stations, typical station features and layout, land acquisition plans, railway technical data and the socio-economic development programme at the booths. 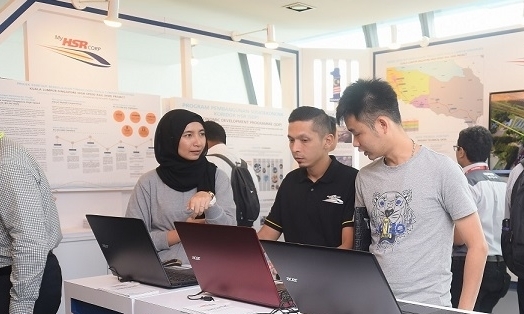 MyHSR Corp chief executive officer Datuk Mohd Nur Ismal Mohamed Kamal said the KL-SG HSR’s environmental impact study was also showcased at the public inspection booths for its one-month compulsory display from Dec 27, 2017 to Jan 25, 2018. This study is available for review and feedback on MyHSR Corp’s website until Feb 9.